Veteran arranger Richard Kingsmore delivers to us this electric version of a favorite Christmas song. This fantastic setting for choir and congregation will add a new element of musical joy to your Christmas season! 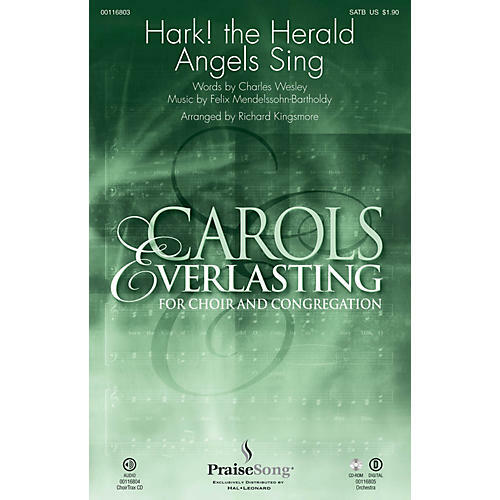 Available separately: SATB, ChoirTrax CD. Score and parts (fl 1-2, ob, cl 1-2, tpt 1-3, hn, tbn 1-2, tbn 3/tba, perc 1-2, rhythm, dm, hp, vn 1-2, va, vc, db) available as a CD-ROM and as a digital download. Duration: ca. 4:15.